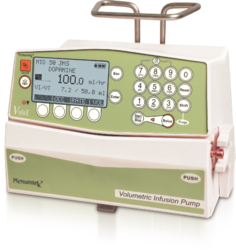 Our product range includes a wide range of volumetric infusion pump - volux. Battery Status: Display in Bars OR hrs. and min. Stand by: Programmable form 1 min. to 24 hrs. KVO/KOR: Settable from 0.1 to 5 ml/hr Provision to keep it off. Data Log Event: 500 data log events in real time.Expandable upto 1500 nos. Looking for Volumetric Infusion Pump ?